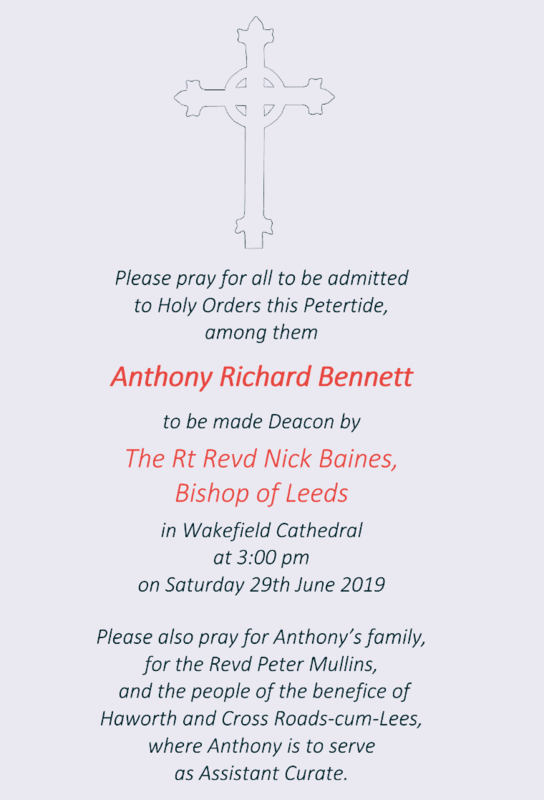 As ordination and admission to Holy Orders approaches at Petertide it’s traditional to send Ember Cards, asking people to pray for the candidate, their family, the priest they will be working and training with in their new churches, and the people of those churches. 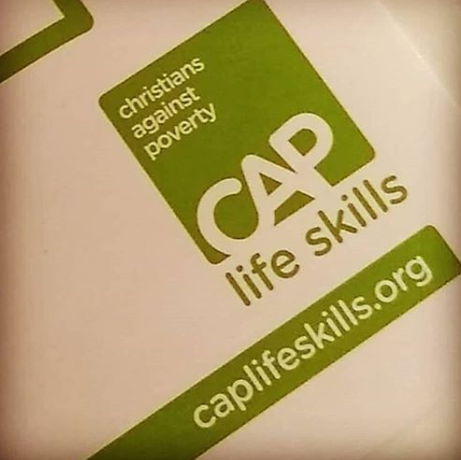 Our next Christians Against Poverty (CAP) Life Skills Course starts at midday on Thursday 9th May, at the Keith Thompson Centre (KTC) in Braithwaite, Keighley. On the course, we learn how to stay healthy and make our money go further. The eight-week course is designed to give you confidence and decision-making skills to live well on a budget. We start with lunch every Thursday, and some weeks we have social events too. Email me: anthonybennett@caplifeskills.org or phone/text 07484365310 to book a place on the course. If you are interested in helping to run the course you could join our team of befrienders. We have some training coming up at midday on Thursday 2nd May. You would be most welcome to come along and find out more. Keighley CAP Life Skills Manager. Ordinand in the Parish of Keighley. 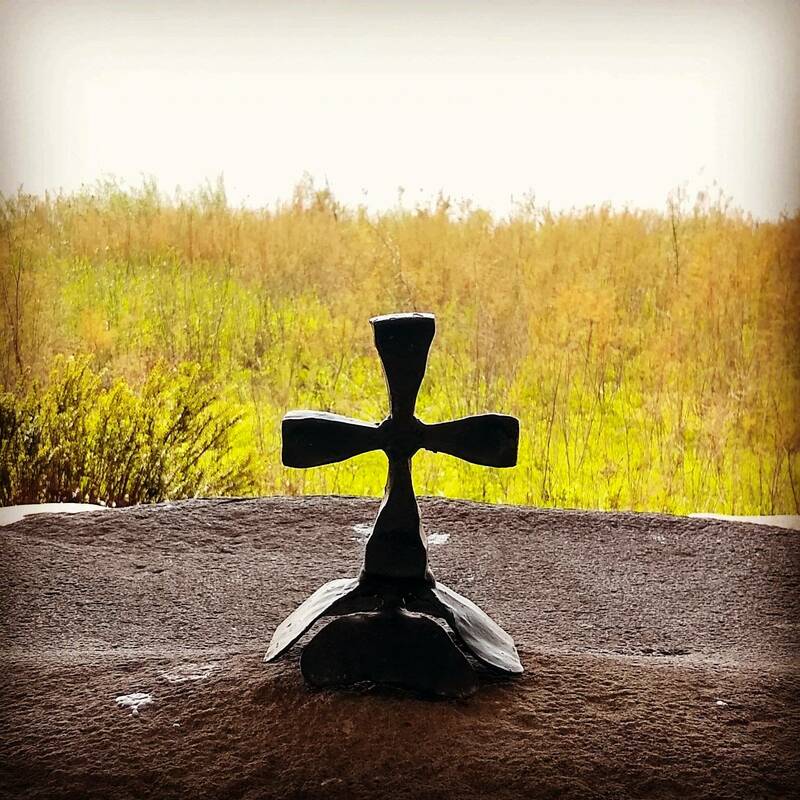 Blessed are you, God of compassion and mercy, to you be praise and glory for ever.